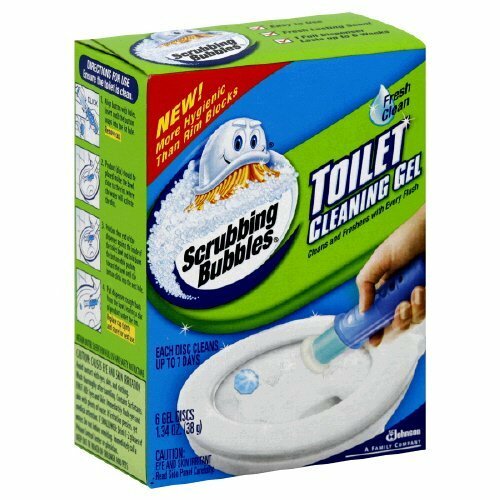 And, I also bought a box of these toilet cleaning gel thingies. So after I got home, I went around the house cleaning toilets and popping a cleaning gel thingie in each. These two products should NOT seem similar in any way....except to someone as strange as myself. Because when I got ready for bed last night, I read the instructions for the dry mouth thingies. Hm. Brush teeth. Stick dry mouth thingie inside mouth. BRUSH TOILET. STICK TOILET CLEANING THINGIE INSIDE OF TOILET. I'll tell y'all if the mouth discs work after I actually am able to force myself to put one in. Hi Julia, I've tried these and they work okay. The only thing that bugs me is when they've been in a couple of hours and they get a little stringy. It irritates my gag reflex and makes me feel sick. I usually dig it out and then pop in a new one. I can't chew gum either because it makes me feel sick to have anything in my mouth for very long, I'm just odd. My mom's friend is a sjoggie also and she finds them helpful. I never thought about the similarity to toilet bowl cleaner. Thanks for that. Time to go brush my teeth. I've tried the oral stickie things before with NO success - to me, they seemed like they'd work to stimulate salivay production if you have working but lazy glands. Mine I guess are so destroyed it didn't work right. The disk got gooey, made me talk funny, and annoyed the crap out of me. Oh the other hand, I'd like to know if the toilet bowl stickies work, haven't tried them yet! Oh, I was SO afraid you were going to tell us you'd gotten the two thingies mixed up and switched their locations! I'm still laughing at anonymous' remark because that's exactly what I was thinking! I've never seen these at my local drugstore, but I would never buy these, because like Sue, I have a terrific gag reflex and this product wouldn't work for me. I will eventually have to look into some product bcause I do have issues with food getting stuck in my throat and I'm afraid of choking. If it's not one thing it's another! You are too funny. I'll be sure not to buy any of the toilet cleaning stick-ons because frankly, I can't imagine retrieving them after they're used up even wearing my trusty rubber gloves, but I might try the other ones for dry mouth since I still have working, if cranky and sluggish, salivary glands. I, too, thought immediately of the mix-up scenario but even on an active Sjogren's brain fog day I never seriously considered the possibility that you would have made a mistake like that. Thanks for sharing a solid recommendation AND giving a laugh. Your blog is truly an amazing gift. I have try those "sweet" and they work great ! But they don' tlast 4 hours, at least for me, maybe 1. And I can find them only in the US. I can't have them ship here, it's too expensive. Weighing in again to say I didn't like the OraMoist product. I ran out and bought some yesterday. I put one in at around 7:30 p.m. after dinner, thinking if it worked well for the next couple of hours I'd use one for my tennis match this morning as gum and candy are a choking hazard for me on the tennis court. I never got the hang of doing active sports with something in my mouth. Yeah, walking and chewing gum is an issue, too. It did work, actually. My mouth felt almost normal again in terms of saliva quantity the entire time the thing was in there, but I didn't like the taste or the sensation of having a clump of goo on my palate and I think the Xylitol was at least partly responsible for the upset tummy I had this morning. Also, it feels icky to me when small clumps of it start to shed. 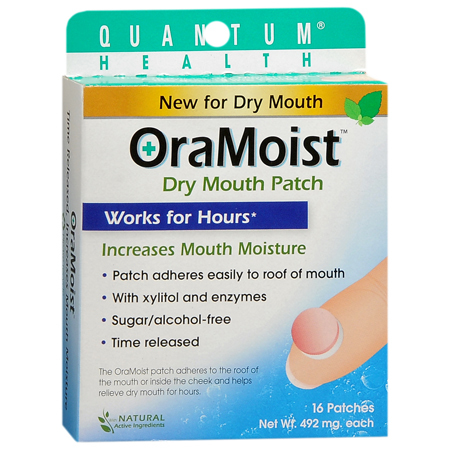 I scraped off the residue that was still clinging to the roof of my mouth when I woke up at 1:30 in the morning and there was quite a bit of it left stubbornly refusing to dissolve so I definitely would be one of the folks mentioned on the package who report that the product works all night if I could stand it. I'll stick to my Petite Deceit Stevia-sweetened candies and Rain mouth spray. LOVE both of those things.